Plaster is a building material used for coating walls and ceilings. Plaster starts as a dry powder similar to mortar or cement and like those materials it is mixed with water to form a paste which liberates heat and then hardens. Unlike mortar and cement, plaster remains quite soft after setting, and can be easily manipulated with metal tools or even sandpaper. These characteristics make plaster suitable for a finishing, rather than a load-bearing material. 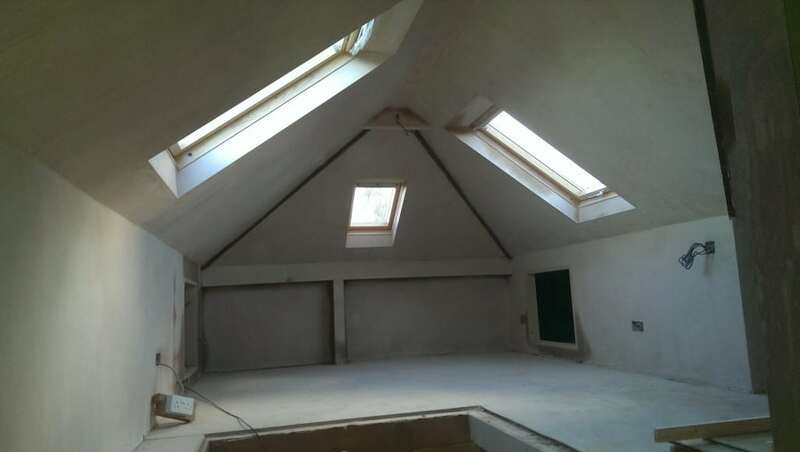 We carry out all forms of plastering including: complete walls, windows, corners, ceilings, outside walls, plaster-boarding and complex shapes. Our expertise allows us to do rooms of all shapes and sizes and we can always advise you on the best solutions and techniques to get the finish you are looking for. Our plasterwork is used to provide a smooth, flat surface to internal walls and ceilings. These smooth walls are suitable for decorating with paint or wall paper. 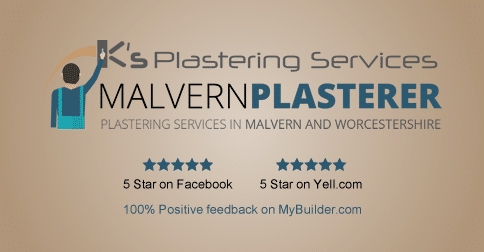 Plastering has the added advantage of offering sound and heat insulation as well as being fire-proof. We have a plastering solution for all types of surfaces including: brickwork, concrete, plasterboard, Artex and more. 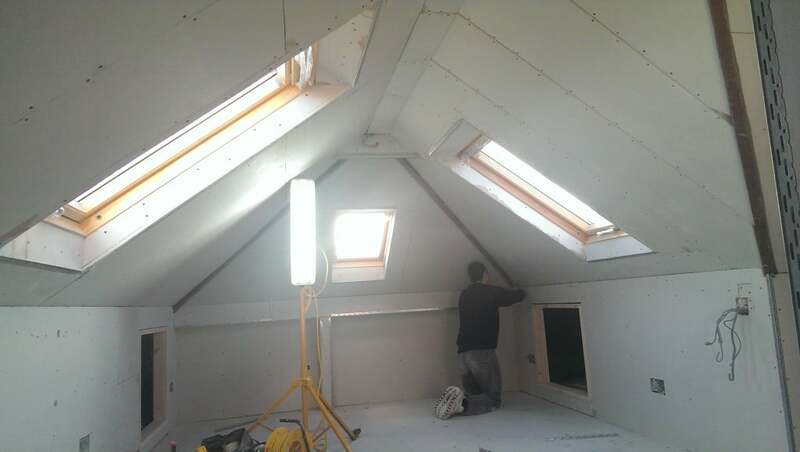 We also do over skimming and dry lining. Please contact us to ask any questions and see if we can help you on your next project. Skimming to plasterboard and other solid surfaces is a popular method of providing a smooth, seamless finish ready for decoration. The plaster is normally applied to a 2 – 3mm thickness depending on the background you are working to. Preferred by masonry lovers, either sand and cement renders or gypsum backing plaster are trowelled directly onto brick or block work. Both are finished off with a tight coat of finishing plaster that can be decorated.